Everything was perfect. Great crew, big boat with lots of space and the best part?! They have a professional photographer on board to make your day unforgettable. 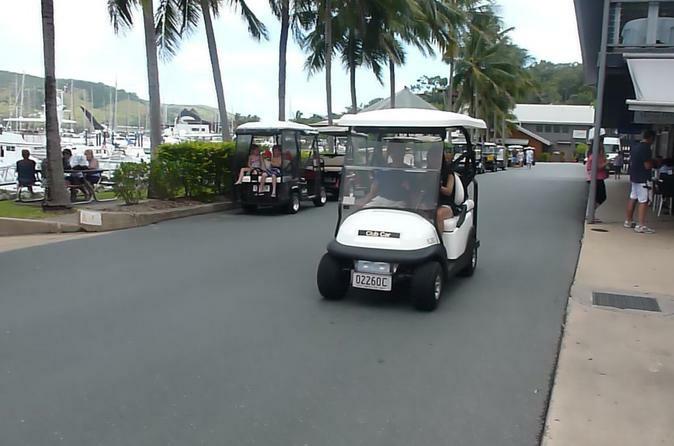 Hamilton Island was amazing, we weren’t advised or aware that we could pre book anything. Everything was fully booked - real shame. One Tree Hill is a must stop for cocktails and views. A fantastic trip. We loved Hamilton Island. The free shuttle bus was handy from the harbour to the beach. The water was so blue. Lovely restaurants. Beautiful pools that you can use for free. Whitehaven beach was a real paradise beach, white sand and clear blue sea. A photographer from on the ferry was taking photos which you could buy. We were there when jellyfish etc were a danger so anyone swimming had to wear a head to toe stinger suit. really crowded tour, lots of people, it is not a tour actually, you just combine boats trips with other people and spend time on your own on each island, very stressful always new people come on the boat, get out of the boat, you do not have a guide, just free time and your tickets. 3 stars for the Cruise and its staff which is professional, helpful and friendly. 0 star for Hamilton island and Whitehaven beach which is so boring. Hamilton island is crowded by millionaire residents and resorts, shops and yachts. We didn't want to spend time and money to see these things which are not belong to the nature and sanctuary island. 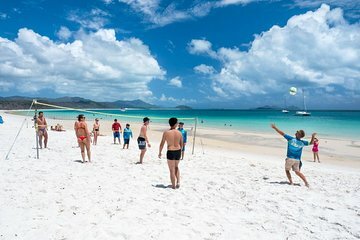 Lastly, Whitehaven beach is like any beach in the Sunshine Coast unless you landed in right spot as shown in the Publicity picture. We were more disappointed with a long hours strong draft and cloudy sky. A good day out if you like to ride in boats, sit on the beach which is indeed a very nice beach and look at yachts in the marina. We wouldn't say the beach was that much nicer than others we saw in Queensland but it was a relaxing couple of hours we spent there. The Audi yacht racing was taking place on Hamilton island so there was plenty going on, but unfortunately it poured with rain so we ended up sheltering whilst waiting for the boat to return. Good, but not our favourite trip. What to say about this except it is absolutely beautiful !!! It is the best place I've been in Australia with the Horizontal falls Broome by far !! Whitehaven beach is considered as one of the most beautiful beaches in the world and I AGREE : The best beach I've seen in my life !! An amazing white sand, turquoise water, a sensation of serenity and the feeling of being in holiday and out of everything, thank also to the unbelievable surrounding landscape. This is the best spot of the East cost. Go on the normal ferry around, and we only have 1 1/2 hours at Whitehaven beach which was the only thing really worth seeing. The meal you get we bought ala carte, rubbish. We thought it was OK but then found out that there were only a few choices, where, for mains, we had the option of chicken or three types of pizza. Highly overpriced, and which we had gone with one of the smaller boats to whitehaven beach.